Order your standard or customized graduation announcements from C.B. Announcements. Order announcements online or by using their toll free number: 1-800-433-0296. Purchase graduation bouquets on-site or pre-order through Mizzou’s Student Run Florist, Tiger Garden , by emailing tigergarden@missouri.edu. If you are looking for something customized for your graduate, please pre-order or there will be options at the graduation ceremonies. Pre-Register for your Graduation Ceremony photos! GradImages is proud to be your official graduation photographer. Receive a coupon for 20% off your entire order when you pre-register before graduation day. Following commencement, GradImages photographers will be circulating outside the commencement venue to capture additional candid photographs of our graduates with their loved ones. The GradImages staff will be wearing red vests, so they’ll be highly visible and easy to locate. Grab a red vest and snap some candid shots! 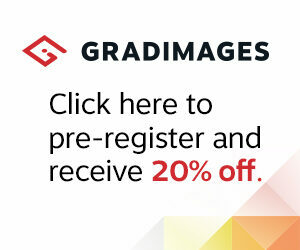 Order photographs of your graduation ceremony from GradImages. Order photographs online or by using their toll free number: 1-800-261-2576. Videos will not be made of your commencement ceremony.